The Dow Jones Industrial Average is pushing higher again on Friday as investors continue to celebrate the rally induced by Donald Trump's election victory. We are now within striking distance of Dow 20,000, and the odds are that we could see that new record high any day now. So, when exactly will we see Dow 20,000? Money Morning Capital Wave Strategist Shah Gilani has that answer, right here. Markets were also pushing higher this morning after a positive round of economic data from China. The nation's consumer price index was up 2.3% in November, year over year, while its producer price index was up 3.3% in the same period. Here's more about China's economic bump. On Thursday, the Dow hit another record high – adding 65 points – as the Donald Trump market euphoria continues full steam ahead. The combination of increased European stimulus and positive jobs data added fuel to a red-hot market. The Dow is projecting a 20-point gain as investors anticipate another record high in the wake of the European Central Bank's announcement that it will extend its quantitative easing program. 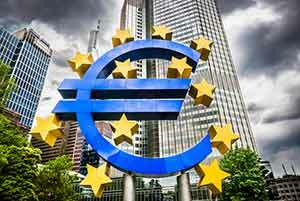 The ECB announced on Thursday that it plans to maintain interest rates at their current levels and extend its bond-purchasing program through December 2017. The central bank plans to continue its buying pace at 80 billion euros per month through March 2017. But it will drop that figure down to a pace of 60 billion euros each month for the duration of the year. Investors are keeping an eye on the U.S. Federal Reserve as the central bank plans to meet next week to discuss its first possible interest rate hike since December 2015. According to CME Group's FedWatch Tool, the odds of a rate hike during next week's meeting sits at 97.2%. Here's our latest insight on the Federal Reserve and how the central bank affects the markets. The WTI crude oil price today is ticking 0.9% higher this morning – just a notch above $50 per barrel. Meanwhile, Brent crude added 0.6%. Crude prices are pushing higher on word that OPEC plans to meet tomorrow in Vienna, Austria, to discuss how it will collaborate to meet its targeted production cuts that it agreed upon in November. The world's largest oil cartel will also attempt to lure nonmember nations Sudan, Russia, Azerbaijan, and Mexico into the deal to help bolster crude prices. 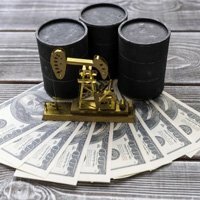 Money Morning Global Energy Strategist Dr. Kent Moors explains that there are some factors that investors are missing if they spend too much time focusing on OPEC. Here are Dr. Moors' latest predictions and insights on the road ahead for OPEC and global oil prices. But the big news this morning is the mighty U.S. economy. It was difficult to predict early this year that a wave of optimism would spread and bring capital off the sidelines at the same time that Americans would be saying the words "President Donald Trump." But plans for massive tax cuts, big boosts to military expenditure, and an ambitious infrastructure program can all be expected to give the economy (and stock prices) a significant shot in the arm. Shares of Chipotle Mexican Grill Inc. (NYSE: CMG) added 0.5% as the stock continues to rise from a 52-week low. The stock price tanked on Tuesday after the company questioned its own financial outlook for 2017. Now, you might be tempted to pick up shares with the stock hovering at these low levels. But we lay out the risks and advise investors to steer clear of this struggling restaurant stock. In earnings news, shares of Restoration Hardware Holdings (NYSE: RH) fell more than 20% after the company slashed its full-year outlook. The company said it expects its sales to be weak during the holiday season, a common theme among retailers this month. Look for earnings reports from Vail Resorts Inc. (NYSE: MTN), Ferrellgas Partners LP (NYSE: FGP), and MTS Systems Corp. (Nasdaq: MTSC). Stock markets might have shattered record highs this month, but these overheated markets could signal a 2017 market crash. Money Morning experts offer several ways to both protect your investments and even make money during a crash. Be sure to read our stock market crash protection plan before it's too late.